Irkutsk was founded in 1651 and served as a trading and administrative center of Siberia in 18-19th centuries. 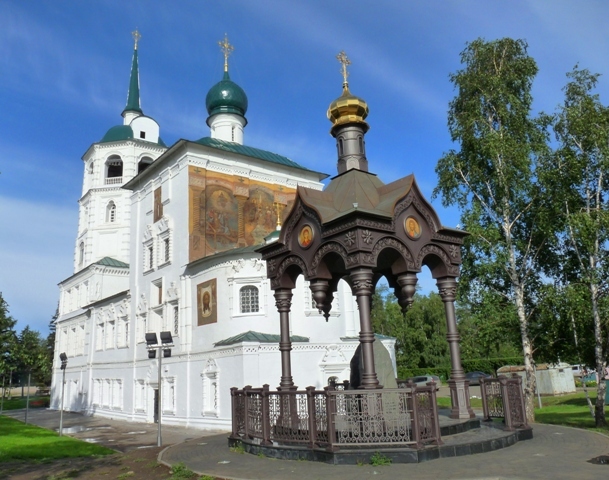 Irkutsk was the base for expeditions to the far north and east including Alaska. For some time Alaska was known as Irkutsk's American district. 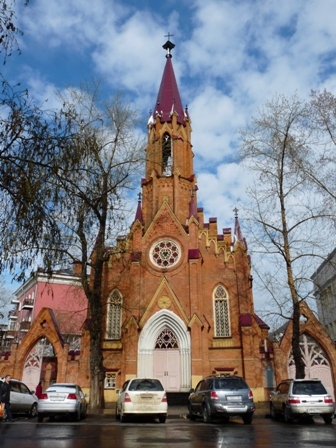 The city is worth at least a one day stop to see the 1718 eye-catching Epiphany Cathedral. A newly recast statue of Tsar Alexander III stands on the riverfront. It is an exact copy of the 1904 original. Crystal-clear and cold Lake Baikal is a vast body of the bluest water which contains one-fifth of the planet's unfrozen fresh drinkably pure water. The lake is just one hour drive from Irkutsk. The nearest village conveniently situated right on the lake shore is Listvyanka. Listvyanka offers an inspiring view of Lake Baikal, the Angara River source as well as winter dog-sledding and summer boat and horse rides. The Legend of Baikal hotel located at the source of the Angara is highly recommended for a one-two night stay to enjoy the lake and to relax before hitting the road east of Baikal. Another decent hotel “Mayak” stands right across the moorage of boats which can take you on a day long pleasure cruise. Listvyanka offers inspiring views of the distant snow-capped Kamar Daban Mountains. Unlike many regular tourists a car traveler can easily move from Irkutsk not to Listvyanka but to the Olkhon Island north of Irkutsk in order to explore somewhat different and less domesticated Baikal. The Shaman Rocks found on the island are considered by the Buryat people to be a hub of shamanic energy. The Rocks offer a perfect meditation spot for Buddha-minded travelers.